Carrie Hope Fletcher added "I’m absolutely delighted and honoured to be reprising my role as ‘Beth, Parson’s Nathaniel’s Wife', alongside Jason Donovan, especially for this momentous 40th Anniversary year! 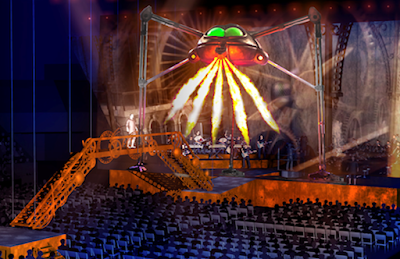 Having grown up listening to the album, ‘The War of The Worlds’ holds a personal significance, and with the new ingredients, I can’t wait to see how this new production has evolved!" Newton Faulkner said "I grew up listening to 'The War of The Worlds' and I’m playing The Sung Thoughts of The Journalist, alongside Liam Neeson and, as if that wasn’t enough, Jeff Wayne asked me really nicely. Also, it’s got giant Martian Fighting Machines in it! An actual MFM that shoots real flames out of its giant face! I’m very excited. 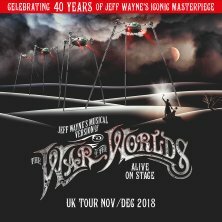 Nathan James said "I am beyond excited to be part of the 40th anniversary production of The War of The worlds. I can't wait to stand on stage in these incredible venues and perform this wonderful music alongside such a hugely talented cast. I'm so thankful that Jeff has picked me to sing ‘Thunder Child’ - a song I have loved since I was a kid. I remember hearing those opening chords for the first time and to get to hear them from backstage is going to be a really surreal moment every night. This is a proper dream job." Anna-Marie Wayne said: “The War of The Worlds is obviously very near and dear to my heart and I am so excited to be reprising the role of Carrie again for the 40th anniversary Tour! I can't wait for everyone to see how the character has developed since the last tour - lots of new and exciting things!" 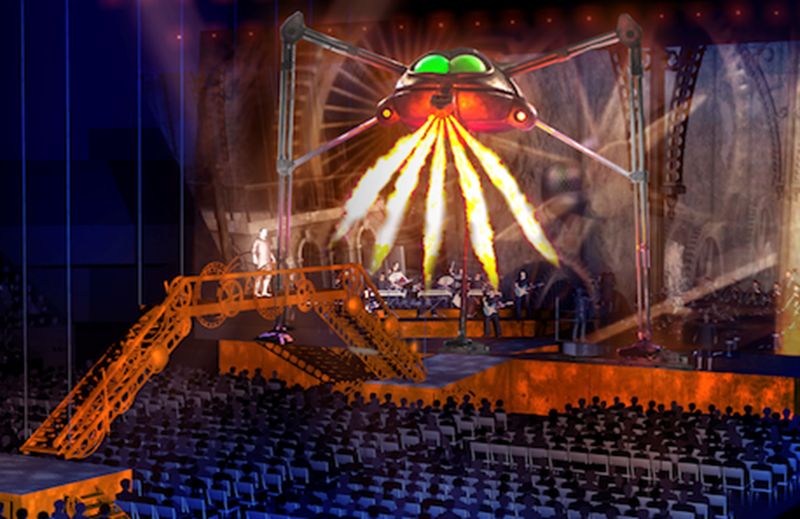 · The iconic 3-tonne, 35-foot tall Martian Fighting Machine firing real flame Heat Rays at the audience. · A 100-foot wide 'Animation Wall' with 2 hours of cutting edge CGI. · A ground-breaking levitation effect. · The incineration of a cast member in full view of the audience. · Leaf drops over the audience. Tickets are available online from our affiliate EVENTIM UK ONLINE LINK or from the booking hotline number 0844 493 6666 or in person from the Metro Radio Arena Box Office. Please note venue facility and booking fees will apply.